Five female professional riders will be looking forward to the rest of 2017 after starting the new year with a bang. Lizzie Kelly grabbed the plaudits at Cheltenham as she registered a double, notably winning the Grade 2 Relkeel Hurdle on Agrapart, but Lucy Alexander, Bridget Andrews, Megan Carberry and Lucy Gardner were also celebrating success on what was a memorable day for female riders across the breadth of Britain. Gardner struck on Only Gorgeous in the 2m3f handicap chase at Exeter, while at Musselburgh Carberry won the 2m3½f handicap hurdle on Dominada. 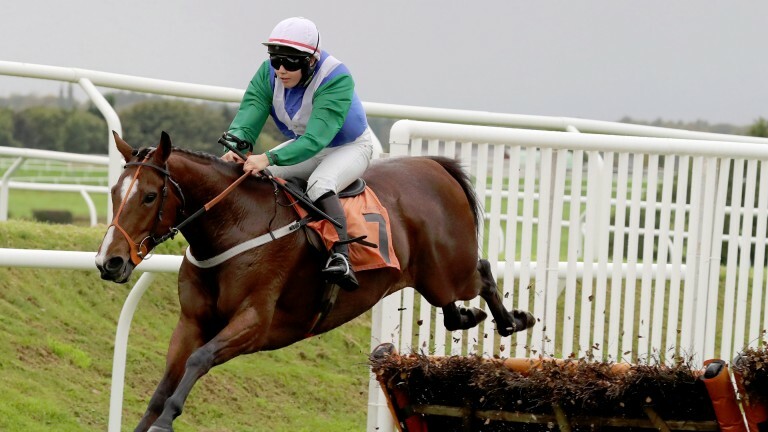 Andrews and Alexander both scored at Catterick, winning aboard The Bay Oak in the 3m1½f novice hurdle and Touch Of Steel in the 3m1½f handicap hurdle respectively. Carberry was delighted to enhance her excellent record on Dominada and said: "I've now won three times from four starts on him and he's definitely a real favourite - we get on so well together." On female riders enjoying such a successful day, Carberry added: "I checked on Twitter and saw people talking about it, and it's great to see people taking notice. "It's especially good it happened on a big day like this, when a lot of people will be watching the racing. It's brilliant and should give us all a boost."